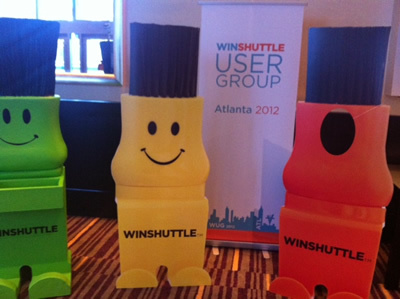 We just wrapped up the Winshuttle User Group (WUG) 2012 in Atlanta. It was an outstanding event with a large critical mass of Winshuttle users attending a high diversity of quality presentations by our customers, partners, and my Winshuttle colleagues. Customers like Coca Cola, Honeywell, REI, Philips, Kellogg’s, Microsoft, and many others presented their Winshuttle success stories. I spoke with many attendees during the event, and each and every person thought that WUG was highly valuable for them. They learned a lot of things that they would go back and apply to their organizations, hoping to get even more value out of their Winshuttle investments. Every one of the customers I met with told me that they felt that after months or even years of using Winshuttle products, they have just scratched the surface of what’s possible with Winshuttle. As a founder of Winshuttle, I often find myself asking some existential questions. 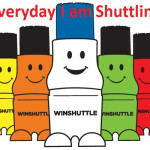 When do we get to call Winshuttle a successful company? When is our work complete? How would we know when we get there? Attending this WUG helped me answer some of these questions. Serial entrepreneur Sean Ellis proposes the ultimate question to ask your customers: How disappointed will you be if we take our product or service away from you? Sean Ellis’ benchmark is that if more than 40% of your customers express that they would be somewhat disappointed to very disappointed, then you are doing something right. 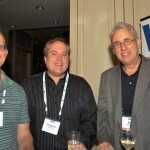 Attending WUG and talking to so many customers, I feel that the 40% bar is too low for Winshuttle. The passion that I saw our customers have for Winshuttle, convinced me that an overwhelming majority of our customers would be very disappointed if someone took Winshuttle away from them! So, WUG 2012 and Sean’s question help address some of my existential questions about Winshuttle. 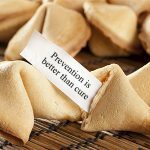 We will know we are are successful each year when at least 80% of our customers say they will be disappointed if they were no longer able to use Winshuttle solutions. We will know our work is complete when at least 80% of the companies whose businesses we could impact are successful with Winshuttle! Helping make Winshuttle customers successful and hosting forums like the Winshuttle User Group where these success stories can be shared will continue to help us achieve those goals and make the Winshuttle team successful. As Winshuttle's Chief Technology Officer, and Co-Founder, Vikram has been focused on empowering people to transform their ERP-based businesses since Winshuttle's humble beginnings. He is passionate about technology that allows people to improve their lives and the way they run their businesses. Outside of work Vikram likes to spend time outdoors running, hiking, kayaking, and skiing.